Whether you work in residential construction and landscaping or mining and forestry, having access to the right equipment is essential to your success. You don’t have to make a long-term financial commitment to get the benefit of a top-quality rental mini excavator in Utah. With cutting-edge, heavy equipment at your disposal when and where you need it most, you gain the ability to maximize productivity and reduce your costs of doing business. If a mini excavator is the best machine for your digging applications, a late-model mini excavator rental can offer a cost-effective, short-term solution. 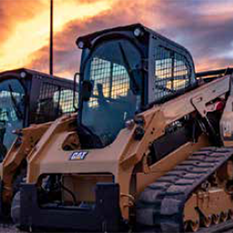 As the only authorized Cat® dealership for the region, Wheeler Machinery, Co. provides the best selection of state-of-the-art rental mini excavators in Utah and beyond. Our Cat Rental Store experts will help assess your needs to identify the mini excavator rental that makes the most sense for your business. Are you searching for a machine that will help you dig trenches or clear overgrown areas? A compact excavator rental is one of the most versatile solutions you can count on for almost any application. While the machine can perform various tasks on its own, you can also make it more versatile by adding different attachments for a variety of jobs. For example, buckets, thumbs and grapplers, as well as mulchers, cutters and hydraulic breakers are several options you can choose whether you’re transferring materials or performing other maintenance. Excavators can perform almost any job, from repairing sewer lines and plowing snow to digging holes and demolishing buildings. Even forming trenches, landscaping, clearing overgrown areas and site grading are possible with the 360-degree rotation ability of our Caterpillar® equipment. Renting can boost your operations in situations where you’re gaining your foundations as a new business or are trying to be cost-conscious with short-term contracts. When you rely on Wheeler Machinery, Co., you know our professionals test each engine to ensure superior performance levels. We inspect all components to make sure you’re getting the most out of your mini excavator rental. If you need a fast mini excavator rental in South Jordan, Utah or anywhere else in the Beehive State, the Wheeler Cat Rental Store is always open for business! We pride ourselves in offering rental mini excavators that deliver the flexibility, performance and productivity to meet the challenges of any work environment. And with locations to rent a mini excavator across Utah and parts of Nevada, you never have to travel far to find the heavy equipment support you need to succeed. 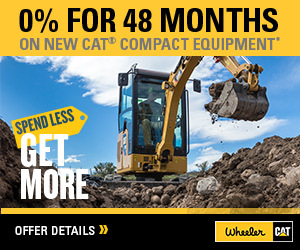 Wheeler Cat Rental Store makes it easy to rent a mini excavator and related products and accessories. With the convenience of 24/7 online access, you’ll be able to get immediate product availability, specification and pricing information with a few clicks of a mouse. We only feature low-hour, well-maintained machinery that’s been meticulously serviced and tested to provide peak operating performance. Whether your job calls for a single mini ex for rent in South Jordan or a small fleet of mini excavators in Salt Lake City, we have the inventory to accommodate your needs. We offer daily, weekly and longer-term rentals, along with the ability to swap out equipment and alter the duration of your agreement based on your project requirements. If you’d like to own your machine at some point, our flexible rental purchase agreements enable you to apply your rental payments to the purchase price. Complete service is also included with your rental mini excavator in Utah. Mini excavator pickup and delivery and regularly scheduled maintenance are a few of the many value-added services we offer! You can always contact our knowledgeable Rental Coordinator whenever you need live assistance. Along with our convenient Utah locations, we also have a branch in Ely, Nevada. Wheeler Machinery Co. works hard to provide you with convenience and top-quality rental machinery and attachments. Caterpillar equipment is built to be rebuilt a million times over with the same performance as a brand new machine. Our rental solutions provide you with the latest technology and up-to-date maintenance to help you remain productive on the work site. 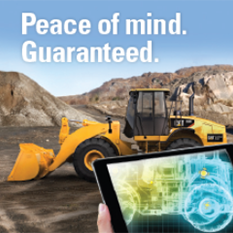 Make Wheeler Machinery your one-stop mini excavator rental headquarters in Utah. We set the standard for the entire industry and continue to increase our focus on your success. At any time for any application, you can rely on our Wheeler Cat Rental Store for mini excavators. We support all industries across the region and have everything you need to get the job done. Our partnership with you extends beyond the initial rental agreement as we assist you with attachments, maintenance and trained technicians. Get in touch with us by calling 801-974-0511, requesting a quote or contacting us online for more info.